We offer Class III NFA firearms sales to qualified citizens and law enforcement. 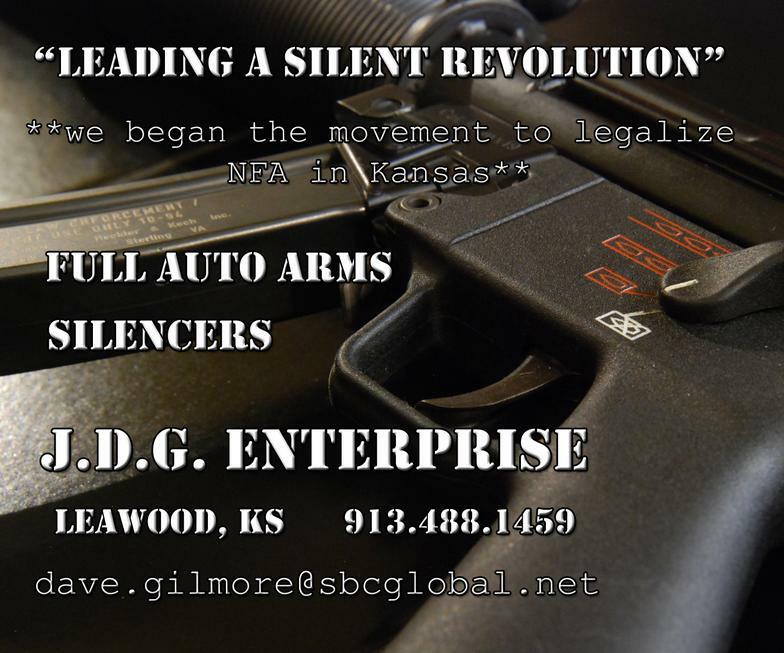 You can legally own a silencer/suppressor, submachine gun, short barrel rifle (SBR), short barrel shotgun (SBS), or any other weapon (AOW) in the State of Kansas. Let us handle the paperwork and guide you through the process. Stocking dealer for most brands. We use eForms but they are currently down for upgrades. JDG Enterprise is actively buying and selling fully automatic legally registered firearms. We will also broker your firearm and handle all elements of the advertising, sale, and transfer. Let us know what you have! NOTICE: WE ARE NO LONGER ACCEPTING TRANSFERS FOR SUPPRESSORS FROM OTHER DEALERS. YOU MUST BUY FROM US. TRANSFER FEES UNPAID ARE NOW $150.00.